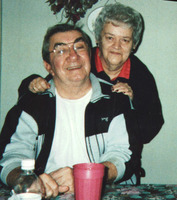 Provide comfort for the family of Marilynn Baldwin with a meaningful gesture of sympathy. Marilynn Baldwin, 82, of Syracuse, died Monday, January 14, 2019 at home. Born in Syracuse, Marilynn grew up in the South shore of Oneida Lake; once she married, Marilynn migrated to the North side of Syracuse before finally settling in Mattydale for almost 40 years. She was the daughter of the late Francis and Marie (King) Beck. Marilynn worked at Chappell's Department Store in northern Lights. She enjoyed crocheting and crafting and sold her creations at local craft shows. Marilynn also traveled with her friends and was a former member of St. John the Baptist Church. She was predeceased by her son, Edward F., in 1978 and by her husband, Robert, in 2011. Marilynn is survived by her two children: Deborah Baldwin of Eastwood and Robert Baldwin and his husband Bryon Bowlby, of Wilton Manors, FL. Contributions in Marilynn's memory may be made to the S. P. C. A., 5878 E. Molloy Rd., Mattydale, NY 13211. Graveside services were held Thursday at Assumption Cemetery, Syracuse. To send flowers in memory of Marilynn Baldwin, please visit our Heartfelt Sympathies Store. We encourage you to share your most beloved memories of Marilynn here, so that the family and other loved ones can always see it. You can upload cherished photographs, or share your favorite stories, and can even comment on those shared by others. 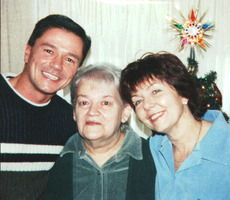 Provide comfort for the family of Marilynn Baldwin by sending flowers. Hey Deb and Bob , sorry for your loss. numerous times while traveling through Mattydale over the years I’ve thought about your parents and always wondered what was up with them. obviously I haven’t followed the obits to close to see that your dad passed several years ago. I hope all is well with both of you. Yes I’m still here in this wonderful state of NY dealing with the snow and cold. Take care.